Red Sweater Project is always excited to have visitors and volunteers join us at the Mungere School for both hard work and some fun in the sun. This month, we were honored to have Willamette University Alumni Association’s second annual group of volunteers join us onsite to add some greenery to our campus. Together with students, volunteers helped to improve landscaping and planted over 600 trees seedlings! 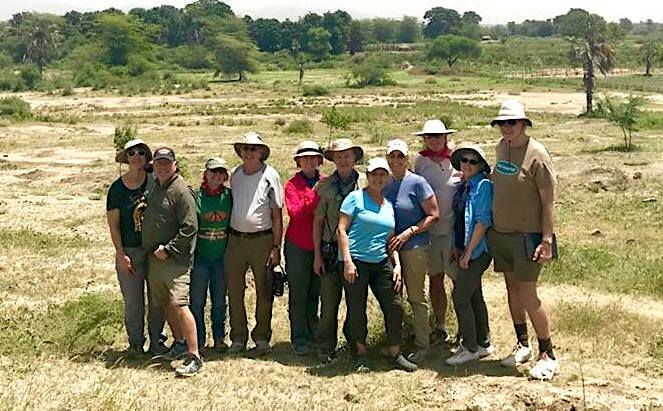 As part of their safari tour, 11 alumni spent four days with us , hanging and conversing with students, experiencing a day in the life of a Tanzanian student, and learning more about local tribal culture. 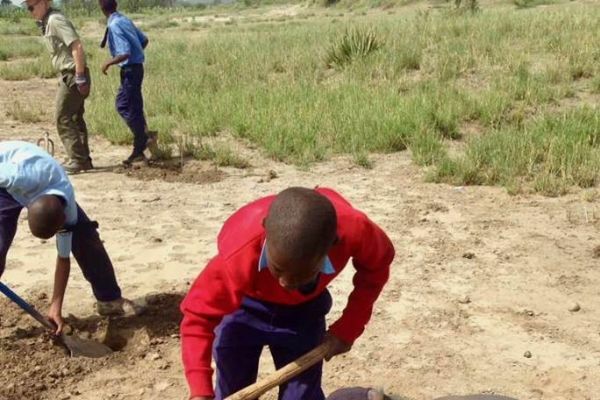 Completing some hard work in the mornings meant having some fun each afternoon, such as playing basketball and soccer with students, or hiking to the nearby Great Rift Valley waterfalls. In addition, volunteers had the chance to visit students’ homes, meet family members, and dance with Maasai warriors. 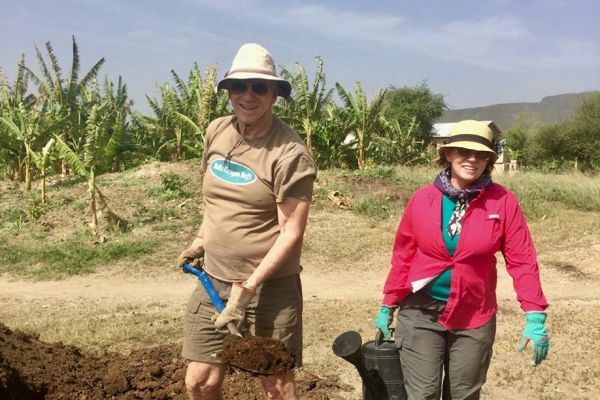 A Willamette University alumna herself, Executive Director Ashley Holmer coordinated the volunteer trip with fellow alum and friend, Carrie O’Callaghan, owner of Embark Exploration Co., which operates tours around the world. 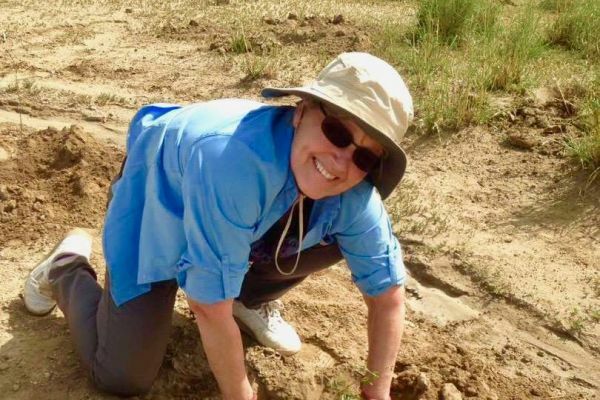 With years of experience in both volunteer work and tour management, Ashley and Carrie were able to bring together a successful trip that allowed for participation in a meaningful service project, and an authentic cultural experience for all of the volunteers, culminating with a safari tour of Serengeti National Park. Would you like to visit us at Mungere School? 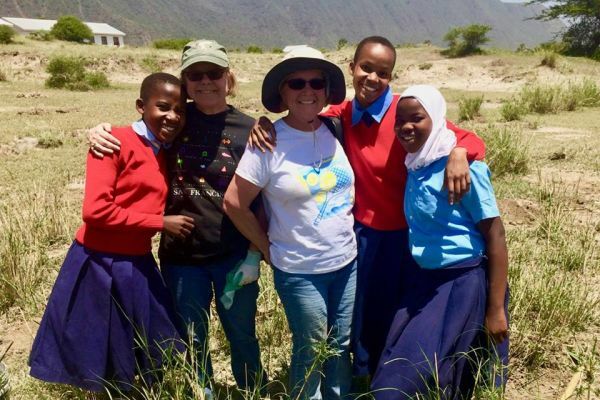 Visit our volunteer page to find out more about how you can visit Red Sweater Project in Tanzania.